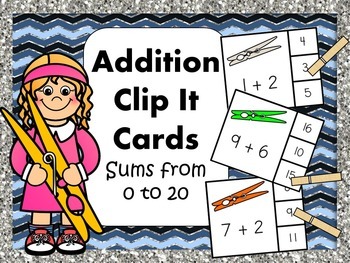 This great Addition Clip It Card Set contains 231 clip cards!! 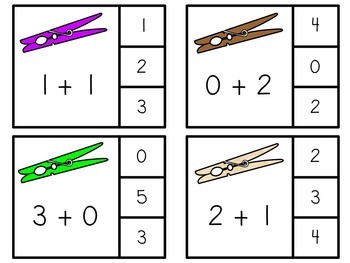 The activity includes all possible sums from 0 to 20. 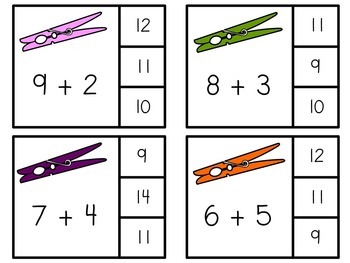 It is an easy to assemble activity for in the classroom and at home! Simply cut out the cards, laminate for durability, and go! 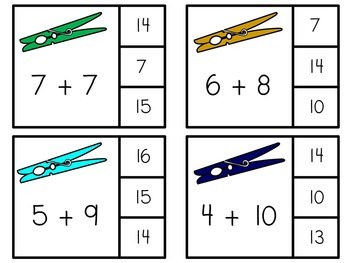 Early math learners read the sum on the card, choose the answer, and clip it with a clothes pin. This activity is a great center or early finisher activity.